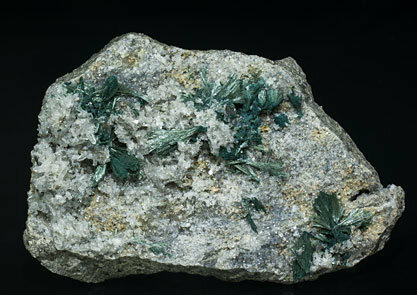 Fan-shaped aggregates of grayish green, acicular Gormanite crystals on matrix with small Quartz crystals. The locality is a classic one for the species. The specimen has a label of John. S. White that we will send to the buyer. Sprays and radial aggregates of acicular Gormanite crystals that have a grayish-green color. 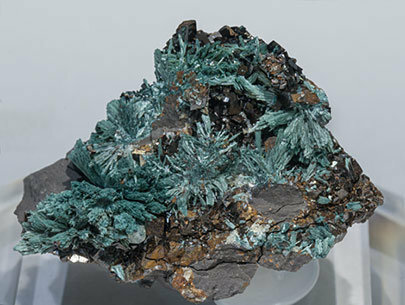 They are on matrix with brown rhombohedral Siderite crystals and small white dipyramidal Wardite crystals. A very fine piece.